This chapter, the love chapter, is the greatest thing ever written on the subject. Short though it may be, we see here the definition and power of pure love. The words paint a picture of Jesus Christ and His very nature. We are looking at the original Love. He is looking back to us, calling for us to be a reproduction of His love in this world. 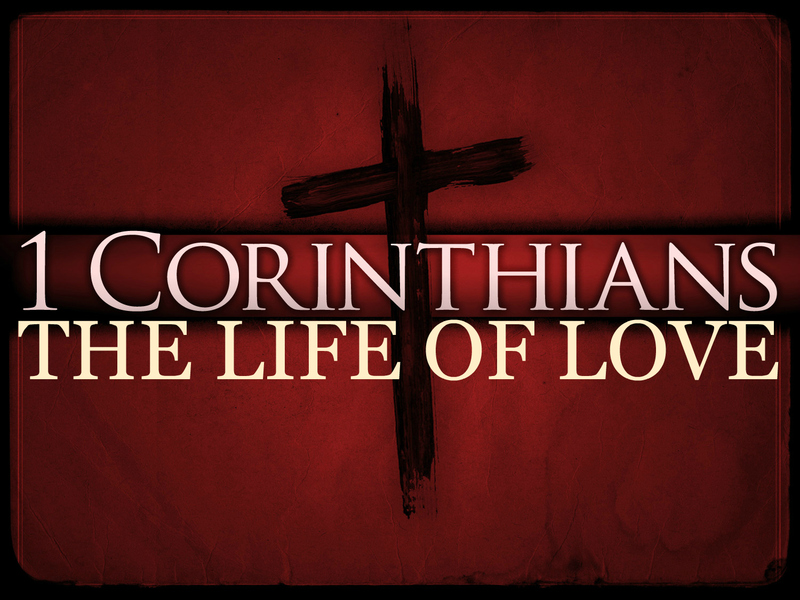 To love like this is to be like the Lord, and our unlikeness to Christ is proportionate to our failure to love. Sin has robbed us of all likeness to God’s love nature, but here we have an outline of what the grace of God and the power of the Holy Ghost can do in our lives. There are fourteen “ingredients of love” in these four verses. In each one we see the life of Jesus Christ. 1. Love suffers long. Having been wronged, love is patient. It refuses to give in to anger even when unjustly treated. Love doesn’t strike back. 2. Love is kind. Enduring wrong could be a victory of discipline but to show kindness to the one who has wronged you requires love. Love not only takes the hurt, but shows grace and kindness to those responsible. 3. Love envies not. It doesn’t mind that others have greater privileges and gifts. It rejoices in the blessings of others. Love sees all the inequalities in life and finds content in its own place. 4. Love vaunteth not itself. “Love makes no parade” (Moffatt). It doesn’t show off or brag. It isn’t proud or conceited. It doesn’t seek the praise and applause of others. Instead, it seeks to serve. 5. Love is not puffed up. It is never arrogant. It doesn’t think too highly of self. Love excels in humility. 6. Love does not behave itself unseemly. It is not rude, but always courteous. It says and does the right thing in the right way at the right time. 7. Love seeks not her own. Love is not selfish, it is self-forgetful. It never grasps for its own rights. 8. Love is not easily provoked. It doesn’t have a temper. Love can be angry at sin, but it isn’t irritable. It is not vindictive and it never retaliates. 9. Love thinks no evil. It keeps a faithful record of kindness and forgets all wrong. 10. Love rejoices not in iniquity, but rejoices in the truth. “Love is never glad when others go wrong” (Moffatt). It does not rejoice in exposing the weakness and sin of others. It sorrows when others fail and celebrates when they repent. 11. Love bears all things. It gets underneath the burdens of life and lifts. It always seeks to the load of others. 12. Love believes all things. It is not easily deceived and it is not blind, but it also is not suspicious. It always seeks to find the best in others. 13. Love hopes all things. Though disappointments come, love holds on to hope. It never gives up on or dismisses anybody. 14. Love endures all things. Love cannot be conquered. It holds its ground in the midst of defeat and still it endures. As I mentioned before, this type of love has only been perfected in Jesus Christ. If you would learn to live like this, it will only be by the power of His indwelling Spirit. Allow His perfect love to work a perfect work in you. Beautifully spoken. I accidentally stumbled upon your page, well maybe not accidentally since nothing happens by accident in God’s world, but I was looking for graphics on love for my morning message; and found you. I am rambling today on the same magnificent chapter. I love your presentation though. Much better than mine I’m afraid. I look forward to returning and reading more of your messages. God bless you today! Thank you for your kind words! God bless you in your studies and ministry.